Fall injuries account for over eight million ER visits a year. That number eclipses all other injury-related hospital visits, including car crashes and drug overdoses. Workers’ compensation, which is basically no-fault insurance, usually covers most of these incidents, as they occur at construction sites and in similar settings. But Florida workers’ comp does not apply to the significant number of retail and other slip-and-fall injuries. Wet spots on floors cause a number of these falls. Other people lose their balance on uneven staircases or because of loose handrails. 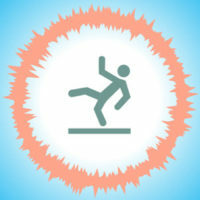 Still other individuals fall because a burned-out light, or overall inadequate lighting, makes an area dangerously dark. Typically, the landowner is responsible for the substantial damages that these victims experience. How can an attorney help these victims obtain the compensation and justice they deserve? Invitee: Most slip-and-fall victims answered the landowner’s personal or general invitation to be on that property. Moreover, most guests confer an economic or social benefit on these owners. A duty of reasonable care applies in these cases. This duty implies not only a one-time responsibility to prevent falls when the invitation goes out, but also an ongoing duty to inspect the premises for possible hazards. Licensee: In Florida, not many people fall into this second category. This label applies if there was an invitation but no benefit. For example, as far as the building owner is concerned, a guest of an apartment tenant is a licensee. With regard to licensees, owners have a duty to warn about any latent (hidden) defects. That could be uneven steps through a walkway or a burned-out parking lot light. Trespasser: A few people are on land without the owner’s permission and their presence conveys no benefit on the owners. Political canvassers are arguably trespassers. In most cases, owners owe these people no duty whatsoever. Some trespasser exceptions include the frequent trespasser rule. The Florida legislature has scaled back this exception, which often involves hunters who unintentionally stray across a property line. There’s also the attractive nuisance doctrine, which usually applies to child trespassers. Sometimes, there is direct knowledge of a dangerous defect. Such evidence, like a repair invoice or restroom cleaning report, often surfaces during the intensive discovery process. Typically, however, victim/plaintiffs must rely on circumstantial evidence in these cases. Florida, like most states, uses a variation of the time/notice rule. If the property defect existed for a long time, the jury can conclude that the owner had constructive knowledge of this defect. The time-notice rule is a lot like a piece of lettuce on the floor. If the victim slipped on a crisp lettuce piece, it probably just dropped on the floor and thus there is no constructive knowledge. But if the lettuce is brown or wilted, the owner arguably had constructive knowledge of that hazard. Unintentional falls often cause serious injuries. For a free consultation with an experienced personal injury lawyer in Brandon, contact Reed & Reed. We have four area offices (St. Petersburg, Lakeland, Tampa, and Clearwater).